Website up and running, now what? - Collective IT Solutions, Inc.
Home » General » Website up and running, now what? Website up and running, now what? Top marketing trends and means for success are constantly changing in today’s Internet, social media, and mobile worlds. It is therefore important to keep up to date and continue to make modifications as necessary to remain current and successful with marketing for small businesses. 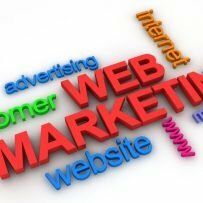 Here are some good tips to follow for your website. Content Marketing – This is important for consumers to feel like they are receiving content from your website / business that provides value. We have to show the consumer “News they can Use” that is not only about you company, but also the industry or other fun ideas. This can be achieved through weekly Blog Postings (transferred to social media accordingly) and emails. Email(s) – Every company should build and maintain a contact database for continued communication. This is very important to aid with Internet marketing. Decide on a popular and successful mail system that already exists. Don’t try to re-invent the wheel. Social Media – accounts with Facebook, Twitter, Google+ and Pinterest can be linked to the website. When new posts are created on the website, they can be transferred to social media as well with links back to the website. SEO – Search Engine Optimization – An industry standard for websites currently. As search optimization continuously changes, some portions remain constant for web sites to appear at the top of search lists. CITS has extensive experience in SEO for multiple companies over the past few years. Mobile site ready – this is very important and research shows 80% of internet searches are now done with phones or tables. In addition, Search Engines now use mobile readiness as part of their ratings system. Add videos – Videos are now a very hot trend on the internet. Consumers was to be entertained and interested and see value in your company / products. Videos can be added to some website pages, included in some monthly posts, and included in some email campaigns. Include a Call To Action on Website – This is a great marketing idea to help gain contacts or purchases. This can be done with a popup or button that requests an action from the Consumer. i.e. Click here to gain access to monthly coupons or Click here to enter email for early access to Seasonal promotions. Pay for Ads, example Facebook – This is another feature of good marketing that can be addressed at any time. Facebook Ads should probably be looked at first.